City: 16 – Hwy: 29	Actual rating will vary with options, driving conditions, habits and vehicle condition. 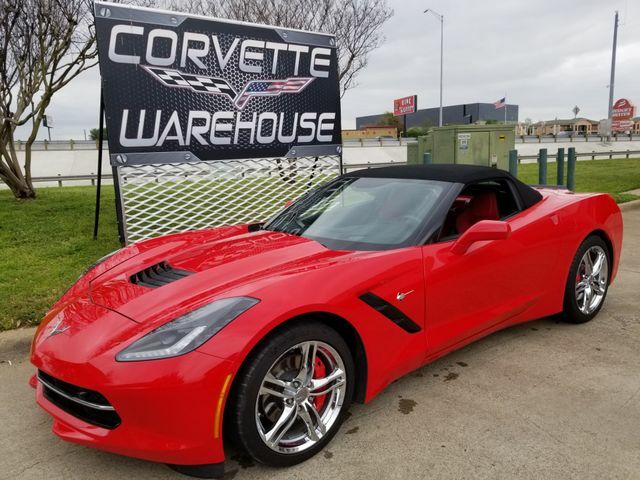 2016 Torch Red / Adrenaline Red-Jet Black Two Toned Leather Chevrolet Corvette Stingray Convertible 2LT Option Package, Automatic Transmission, Power Convertible Top, Sport Seats, Navigation System, NPP Dual Mode Exhaust, UQT Performance Date & Video Recorder, and the Chrome Wheels with only 32k Miles! This 2016 Stingray Convertible comes equipped with 2LT Option Package, automatic transmission, cd player, power windows, power locks, power mirrors, keyless entry, power top, sport seats, navigation system, NPP dual mode exhaust, performance data & video recorder, and the Chrome Wheels. It is in excellent showroom condition and has been highly maintained.